Christain is using Smore newsletters to spread the word online. The Conservatives held power until 1930, when revolutionary pressure put the Liberals back in power. The Liberal administrations of Enrique Olaya Herrera and Alfonso López (1930–1938) were marked by social reforms that failed to solve the country's problems, and in 1946, a period of insurrection and banditry broke out, referred to as La Violencia, which claimed hundreds of thousands of lives by 1958. Laureano Gómez (1950–1953); the army chief of staff, Gen. Gustavo Rojas Pinilla (1953–1956); and a military junta (1956–1957) sought to curb disorder by repression. Francisco Gabriel de Miranda (1750-1816) designed the Colombian flag after Colombia declared independence from Spain in 1810. He did not live to see his dream realized. 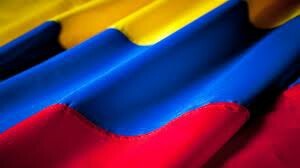 Colombia achieved independence in 1819, officially adopting his flag on November 26, 1861. The Republic of Colombia is a country located in South America. Positioned in the northwestern part of the continent, Colombia has both land and sea at its borders. From the east, the country shares borderland with Brazil and Venezuela. From the southwest, it is touched by both Ecuador and Peru. To the north of Colombia stands the Atlantic Ocean while its western borders touch Panama and the Pacific Ocean. 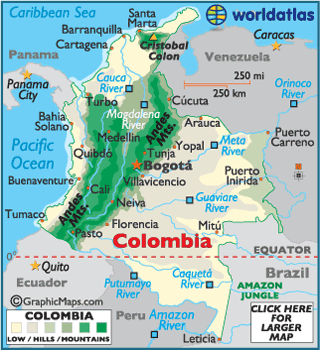 Colombia’s land area spans about 401,042 square miles (1,038,699 square kilometers). The country is fourth in line among the largest South American countries and 26th in line throughout the world. As of 2007, its population was estimated at 44,227,550. 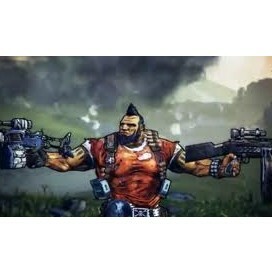 Its capital and largest city is Bogota, which means capital district. This city is not only the largest in Colombia, but it is also the most heavily populated. 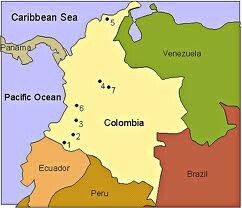 Colombia was once a Spanish colony. It gained its independence from Spain in 1819, as a result of the efforts of rebel forces. However, Spain’s influence is still evident in the country, as Spanish remains its official language. At one time, Venezuela, Panama and Quito (Ecuador) were part of Colombia, but Venezuela and Quito seceded from the country in 1830. This was due to political and territorial strife. After the secession, the country took on the name Nueva Granada. In 1856, it changed its name again, becoming Confederación Granadina. After a period of civil war, it changed its name to the United States of Colombia, finally taking on its current name in 1886. Little is known about the various Indian tribes who inhabited Colombia before the Spanish arrived. In 1510 Spaniards founded Darien, the first permanent European settlement on the American mainland. In 1538 they established the colony of New Granada, the area's name until 1861. After a 14-year struggle, during which time Simón Bolívar's Venezuelan troops won the battle of Boyacá in Colombia on Aug. 7, 1819, independence was attained in 1824. Bolívar united Colombia, Venezuela, Panama, and Ecuador in the Republic of Greater Colombia (1819–1830), but he lost Venezuela and Ecuador to separatists. Two political parties dominated the region: the Conservatives believed in a strong central government and a powerful church; the Liberals believed in a decentralized government, strong regional power, and a less influential role for the church. Bolívar was himself a Conservative, while his vice president, Francisco de Paula Santander, was the founder of the Liberal Party. Santander served as president between 1832 and 1836, a period of relative stability, but by 1840 civil war had erupted. Other periods of Liberal dominance (1849–1857 and 1861–1880), which sought to disestablish the Roman Catholic Church, were marked by insurrection. Nine different governments followed, each rewriting the constitution. In 1861, the country was called the United States of New Granada; in 1863 it became the United States of Colombia; and in 1885, it was named the Republic of Colombia. In 1899, a brutal civil war broke out, the War of a Thousand Days, that lasted until 1902. The following year, Colombia lost its claims to Panama because it refused to ratify the lease to the United States of the Canal Zone. Panama declared its independence in 1903. In Aug. 2000, the U.S. government approved “Plan Colombia,” pledging $1.3 billion to fight drug trafficking. Pastrana used the plan to undercut drug production and prevent guerrilla groups from benefiting from drug sales. In Aug. 2001, Pastrana signed “war legislation,” which expanded the rights of the military in dealing with rebels. Alvaro Uribe of the Liberal Party easily won the presidential election in May 2002. He took office in August, pledging to get tough on the rebels and drug traffickers by increasing military spending and seeking U.S. military cooperation. An upsurge in violence accompanied his inauguration, and Uribe declared a state of emergency within a week. In his first year, Uribe beefed up Colombia's security forces with the help of U.S. special forces, launched an aggressive campaign against the drug trade, and passed several economic reform bills. Colombia's history began well over 13,000 years ago, as evidence of human occupation dates to that era. Over time, many Andean and Caribbean cultures inhabited the area, including the Tayrona, SinÃº, Muisca, Quimbaya, Tolima, Calima, Tierradentro, San AgustÃ­n, NariÃ±o and Tumaco peoples. The Spanish arrived along the coastal areas of Colombia in the early 1500s and the country became Spain's chief source of gold; Cartagena and Bogota were founded by mid-century. Spain eventually increased taxation of the colonists to fund their home-front war expenses, and the subsequent anger and uprising that occurred were the seeds of the revolution to come. Since then it has survived a hurricane of political assassinations, internal governmental conflicts, guerrilla activities and drug wars. 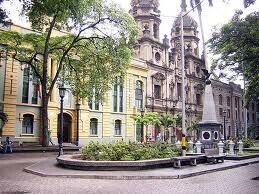 After all of that it remains one of the most attractive and mysterious countries on the South American continent. Political and internal unrest, has for the most part, limited tourism to the Caribbean coastal resorts and towns, with special emphasis on Cartagena. International business travel is commonplace (to and from) the country's major cities. In November 2007, the Colombian army captured FARC rebels who were carrying videos, photographs, and letters of about 15 hostages, some who have been held in jungle camps for nearly ten years. The Marxist-inspired FARC—the largest rebel group in Latin America—has been waging guerilla wars against the Colombian government for 40 years. Hostages included three American military contractors and Ingrid Betancourt, former Colombian presidential candidate. Also in November, Uribe withdrew his support of Venezuelan president Hugo Chavez’s attempts to negotiate with the FARC, escalating tension between the two countries. Chavez subsequently withdrew the Venezuelan ambassador to Colombia.